In an industry as fast-paced as tech, IT professionals require constant training in order to remain relevant. If you're keen on staying competitive in this field, you can sharpen up your skills with the Complete Cisco Network Certification Training Bundle, marked down to just $59 for a limited time. This package represents a practical way to learn vital IT skills that are in demand right now. It includes nine courses that’ll introduce you to networking fundamentals and get you acquainted with several key operations. You’ll then be able to apply your knowledge to earn industry respected Cisco certifications that prove your expertise. The Complete Cisco Network Certification Training Bundle is geared towards students who have an intermediate knowledge of computer systems and networks. So, if you’re just starting out, this package probably isn’t for you. However, if you do have a bit of skill, this is the perfectly affordable way to get the training you’ll need to stay relevant for years to come. 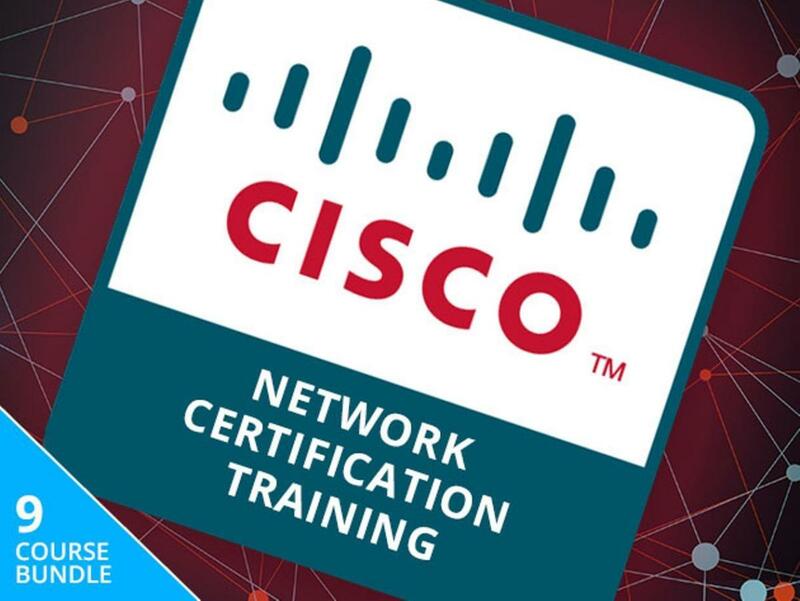 The Complete Cisco Network Certification Training Bundle is valued at $801 but, when you take advantage of this special offer, you’ll save over 90% off this price and get it for just $59.